Tsunku, real name Terada Mitsuo, is a record producer, songwriter and composer, and singer (solo as well as lead singer of J-Rock band Sharam Q). He is best known as the producer of and mastermind behind Hello! Project, TNX, and NICE GIRL Project, as well as producer of some non-Hello! Project acts such as Deka Moni and EE JUMP. Tsunku writes nearly all of the songs for his artists himself. He also releases his own records occasionally, his most recent being “V3~Seishun Cover~”. 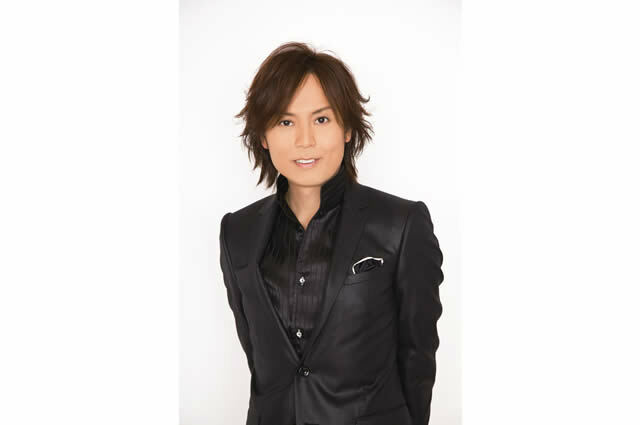 He has co-hosted the TV show Pop Jam and he has his own Web-TV show called Tsunku tv!!!. As of 2006 he is back together with his old band Sharam Q and released a cover of Morning Musume’s single Aruiteru on 2006-11-29, as well as releasing a live album of Sharam Q’s latest concert tour in 2006 SharanQ Live Tour 2006 Aki no Ran Zurui Live Live Live, released January 24th, 2007. Up till now he released 4 singles (his latest on May, 2nd 2008 – a download exclusive version of latest Morning Musume Single “Resonant Blue“ and 5 albums where he covers songs which he wrote either for Sharam Q or the other bands he is producing.